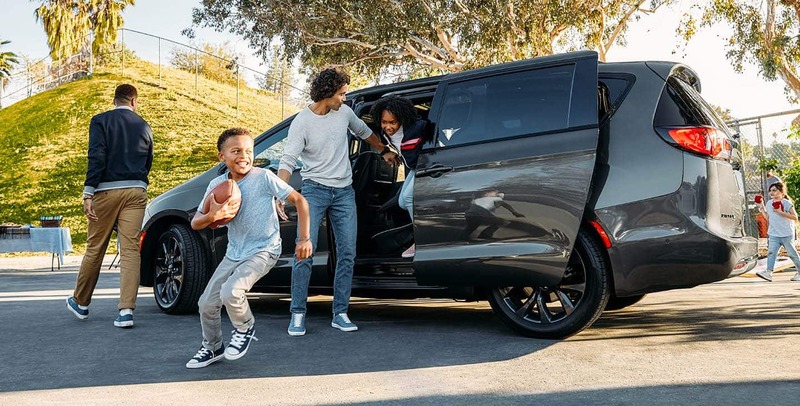 Minivans these days aren't what we remember them to be when we were children, especially when you're riding in the new Chrysler Pacifica. While still containing an ample amount of space for your kids and their friends, the Pacifica is so much more than just a vessel to transport up to eight people. It's also a stylish Chrysler brand model, an intelligent technological safety and infotainment savant, and designed in such a way that it actually makes your life easier as a parent. Once you have explored the new Chrysler Pacifica, the only thing you'll be asking is which trim level you should buy. From the safety and infotainment technological programs to the many design features, the Chrysler Pacifica has a wide array of ways it has your back. Infotainment Tech - Add on the available Uconnect® Theater to keep the kids entertained with large dual touchscreens, stay connected with the optional 8.4-inch infotainment front touchscreen that can connect to your smartphone and contain navigation, and enjoy your favorite music with the available Harman Kardon® Premium Surround Sound System making it concert-like quality. Safety Features - From the standard rear view camera with ParkSense® Rear Park Assist to the available Full-Speed Forward Collision Warning with Active Braking, the Chrysler Pacifica is surrounded by technology to keep you aware of potential collisions. If an accident does occur, you'll also find a plethora of airbags and many other safety precautions in place. Convenient Features - We know your minivan has to accomplish many things. The Stow 'n Go® Seating and Storage System helps give you the options that your life needs. Have room for all eight passengers, split-fold the rear seats, or hide the rear seats in general for a cavernous cargo area. The Pacifica boasts 243 different seating combinations that will quickly adjust as you do. Other convenient features include: the available Stow 'n Vac® in-vehicle vacuum, Easy Tilt Seating, a tri-pane panoramic sunroof, and much more. A Minivan That Can Also Be A Hybrid? Yes, the Chrysler Pacifica is also available as a hybrid option. This means that while you're bringing the kids to school events, going on long road trips, or commuting every day to work, you're saving even more money with the efficient Chrysler Pacifica hybrid minivan. In fact, you'll be earning up to an EPA-estimated 82 miles-per-gallon-equivalent that equals to a total driving range of 520-miles and a 32-mile pure electric range. The Chrysler Pacifica offers six outstanding trim levels, and even more if you consider the hybrid varieties. From the base Pacifica L to the top Pacifica Limited trim, there is a model for every type of personality, want, and need. Discover which features you can't live without. See which trim level would best fit within your budget. And take a look to see if you would rather be behind the wheel of a hybrid option. Contact the Team at Slingerland CDJR Today! Whatever Chrysler Pacifica van you decide would work best for you, our Slingerland Chrysler Dodge Jeep Ram FIAT dealership will have exactly what you need. 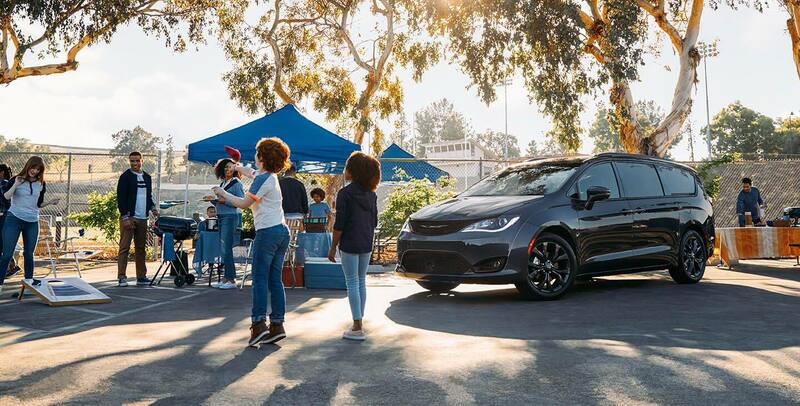 We carry every type of Chrysler Pacifica model, in a substantial variety of trim levels, price ranges, and included features, and we'd love to offer you a test drive in any of these vans today!